We are extremely proud to announce that Drugs.com has been nominated for a second prestigious Webby Award. To be judged among the Internet’s top 5 health web sites is indeed an honor. 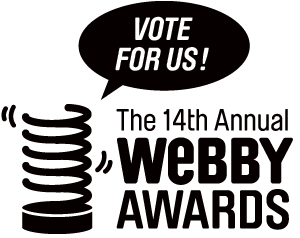 The Webby People’s Voice Awards is also one of the few major awards that invite the public to participate by allowing you to vote for your favorite nominee. If you found Drugs.com helpful, we’d really appreciate your vote.